Carlisha Williams serves as the Executive Director of Impact Tulsa. During the Fellowship, Carlisha served in a hybrid role, in which she spent half of her time as Executive Director of Tulsa Legacy Charter School (TLCS) and half of her time working with Tulsa Public Schools in strategy and talent development. In her work at TLCS, she continued to provide leadership and oversight for academics, finance, communication, and development. At Tulsa Public Schools, she partnered with the Deputy Superintendent, Paula Shannon, on projects related to talent strategy, leadership development, and school innovation with the district’s Design Lab. 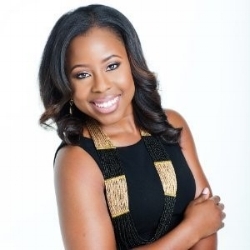 Prior to this role, Carlisha served on the National Leadership Team of Lighthouse Academies Charter Management Organization, which served over 7,000 students and 825 teachers, principals, and staff members. In this role, she managed the highest performing school in the network and Oklahoma school expansion. Carlisha holds an M.P.A. from the Maxwell School of Citizenship and Public Affairs at Syracuse University, a B.B.A. in Entrepreneurship and Venture Management from the University of Oklahoma, and a B.A. in African and African-American Studies from the University of Oklahoma. She serves on the City of Tulsa African-American Affairs Commission, the State of Oklahoma Superintendent Advisory Council, the ScholarMade Charter School Board, and the Coalescent Community Development Corporation Board, and she is a 2017 Charter School Growth Fund Emerging CMO Leader Cohort Member.